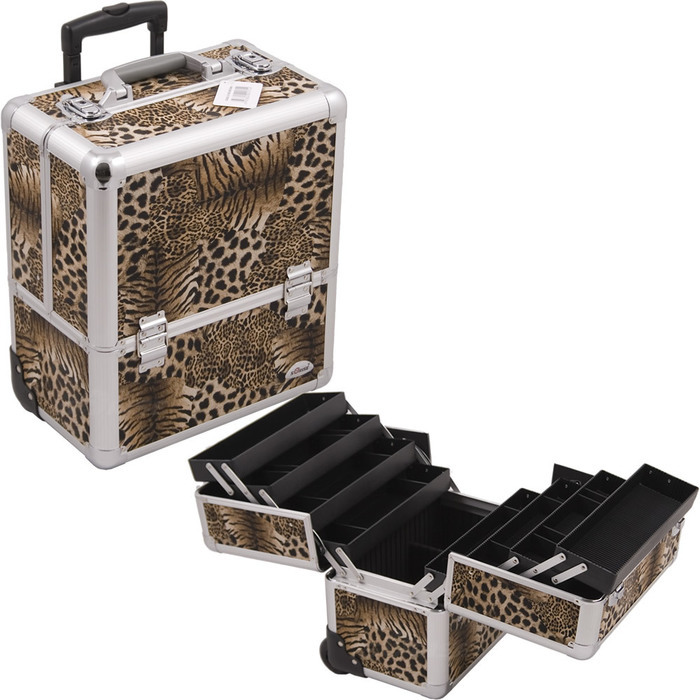 Is your hair salon business on the go, or are you simply looking for more ways to organize your smaller supplies? We have just the product! 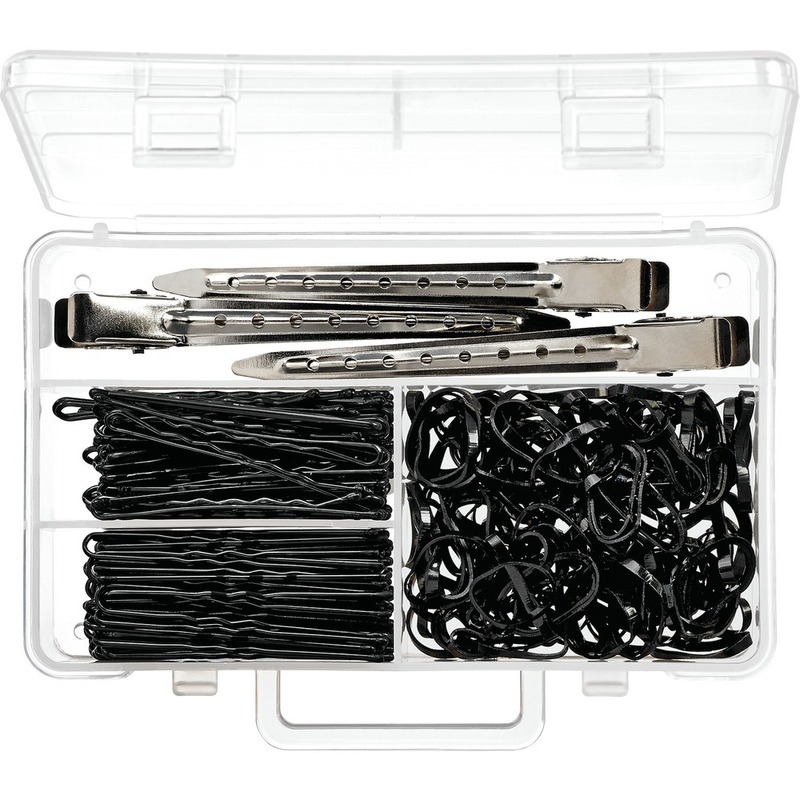 These super cute Mini Hair Supply Kits come completely stocked with 80 black bobby pins, 60 black hair pins, 250 black rubber bands and 3 metal duckbill clips. 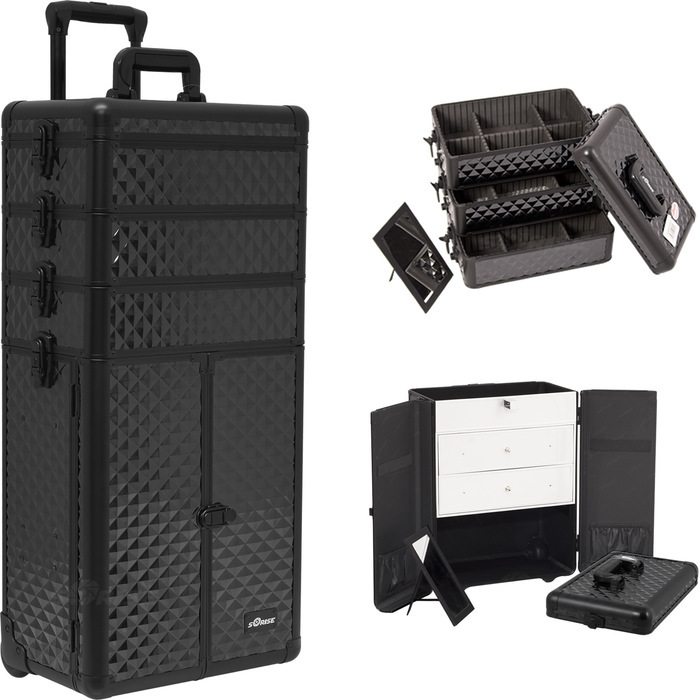 The supplies lay nicely inside this polypropylene box with dividing partitions - perfect for when you're on the go! We now have them available in both black and brown. These would also make super cute retail items for your clients, too! Looking for other hair supplies? We have you covered! 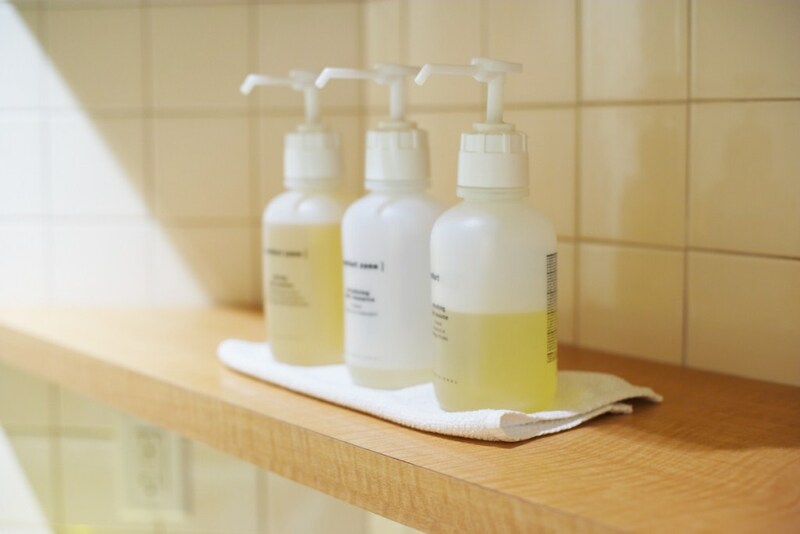 Check out our Salon section for all of your supply needs! 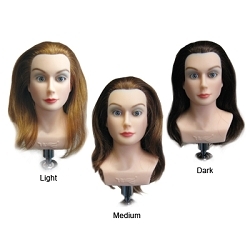 Schlepping Around Your Manikin Heads Has Never Been Easier! 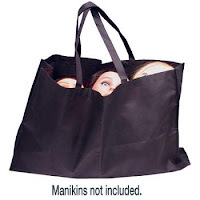 Manikin heads are not the easiest thing to carry around when your on the go. They also don't always fit in just any bag either, due to their shape and size. With this Sturdy, lightweight manikin tote, you can easily hold up to 6 full-size manikins!! What?! That's a big help when your juggling to carry a bunch of these things around. It's great for bringing them back and forth between home and school for practicing. This bag is perfect for students! Retail Products For Clients On The Go! Just like you, your client's schedules can be quite hectic and some may travel extensively. A profitable way to assist in their ongoing skin care and overall well-being is to offer retail products to fit you clients needs while on the go. 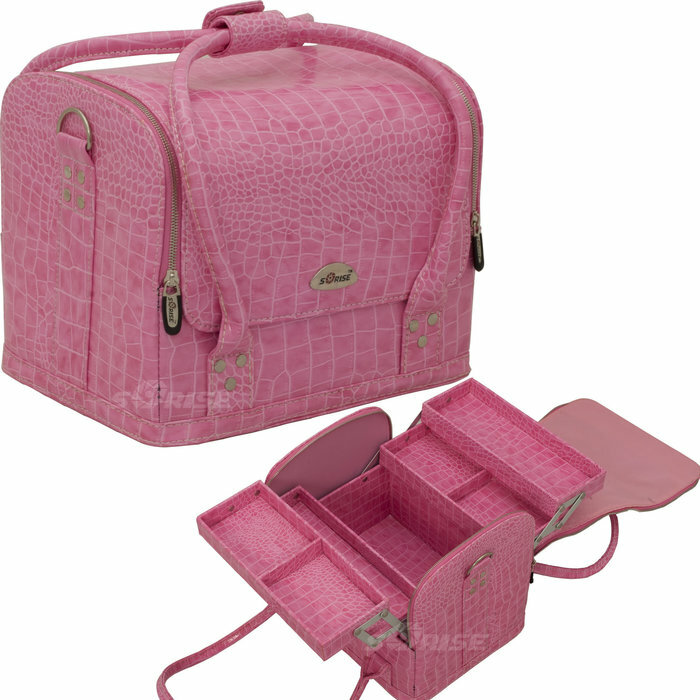 Another great idea is to customize travel kits to your business and client's individual needs!!! Clear Totes Large Cosmetic Bag 9-1/2" X 6-1/2" X 2-1/2"
Clear Totes Small Cylinder Tote 6-1/2" X 2-1/2"
You can find specific products to make the perfect customized travel kit for your clients at Pure Spa Direct ! Travel kits are an inexpensive way for your clients to keep up on their current regimen while they travel or as a compliment to the services you provide. You always want to make sure your clients know how and have the ability maintain their skin while they are in-between appointments.